Through the darkness of night, Light will lead the way. Kerrigan Cruz and Dominic Grayson thought the worst of the storm was behind them. In reality, they have only weathered impossible odds to find they are smack dab in the eye of an unforgiving cyclone. More is on the way. The raging bands of chaos that surrounds them are forcing the destructive walls of the monster to close in around them. Taking on a life of its own, the storm growls and gnashes its teeth, threatening to devour everything they ever were or ever will be. There will be nothing but devastation left in its wake, and it sets its sights on Kerrigan and Dominic. Through the howling winds and punishing lashes of rain, a stranger comes. The promise of a better tomorrow, a brighter, sunnier life filled with hopes and dreams rests in the palm of his hand. It is knowledge, a formidable weapon when wielded by the right person at just the right time. If she can only harness the power of this stranger’s knowledge, Kerrigan may be able to save the one she loves before he fades into nothingness, and she is left all alone. But is this stranger friend or foe? 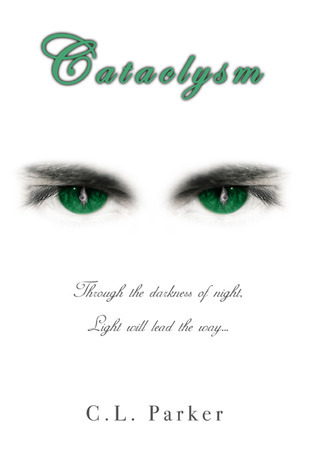 Drawn to her side by an unseen force, will he enlighten Kerrigan or will he seek to claim her for his own? As Dominic and Kerrigan's struggles come to a head, many things come to Light. New friends are made, enemies have a change of heart. Powers are strengthened. Another great read by C. L. Parker. The only reason for 4 stars instead of 5, was the point of view changes was confusing at times and would take a second to adjust to.